Sailing Yacht ASOLARE is NOW available for charter through early May in the Caribbean. 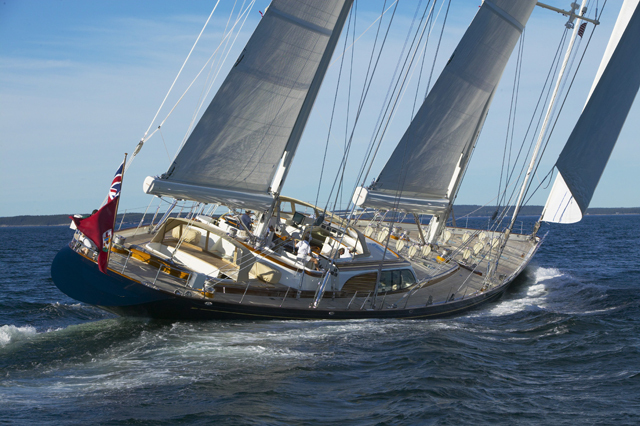 She is returning to Newport for the June Charter Show and will be available throughout the summer. 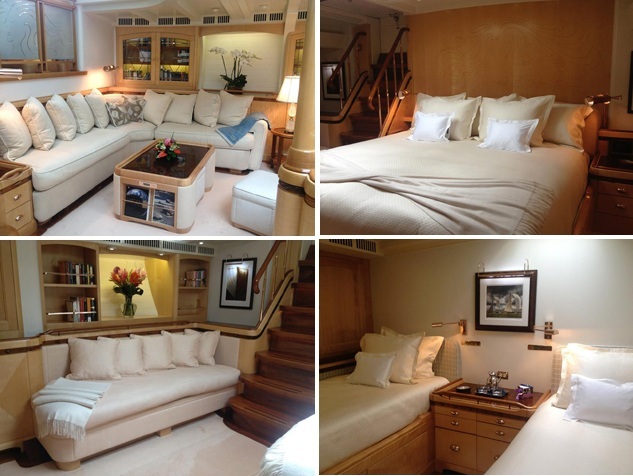 The queen aft master suite is a beautiful multi-cabin apartment comprising his and hers bathrooms, a seating area, separate office with a day head and a staircase leading directly onto the private aft deck sitting area. Two en suite twins, one with a Pullman berth are located forward of the salon. White marble counters and heated towel racks add luxury to the en suite baths. Two dinghies and lots of water toys! South African Captain Roy Wadeson leads ASOLARE’s crew of charter professionals: a French chef, Swedish & English stewardesses, Aussie mate and New Zealand engineer – all with years of experience in five star hospitality and maintaining luxury yachts to the highest standards. See her at the Newport Show June 23 – 26!